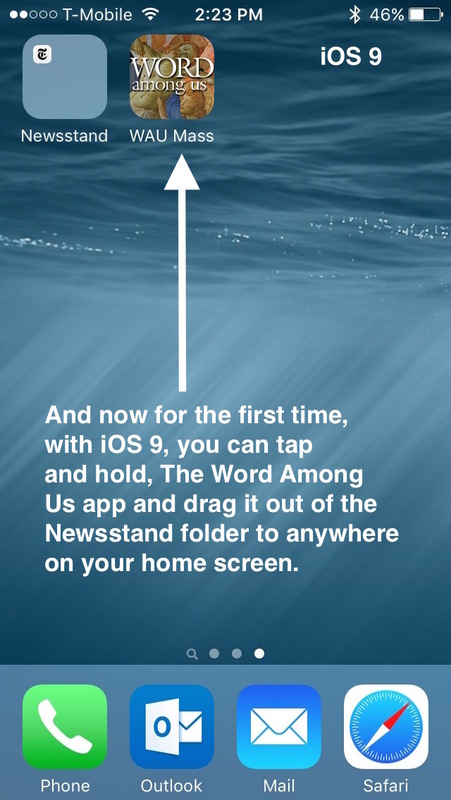 With Apple's release of iOS 9, there is a major change for finding and opening The Word Among Us app for iPhone & iPad. 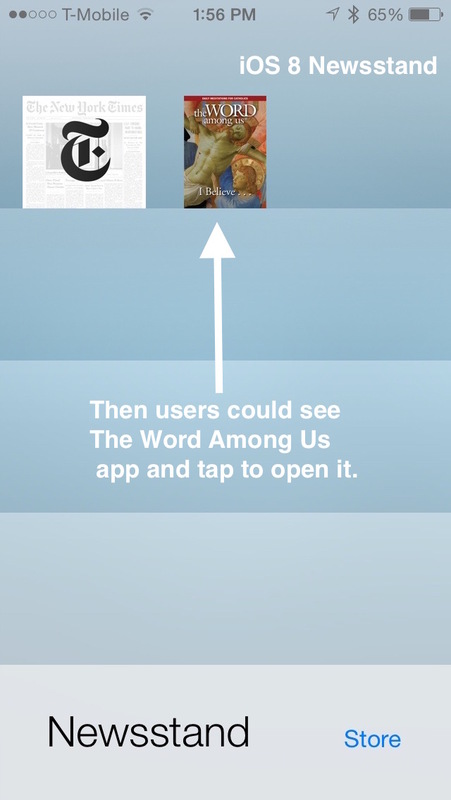 Previous versions of iOS had a feature called "Newsstand" which was a specific folder on the home screen for publications like The Word Among Us and others such as The New York Times. 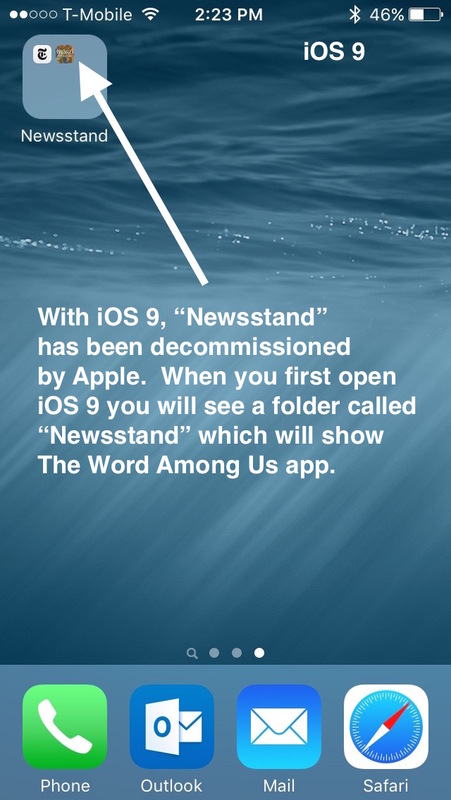 iOS 9 has removed the "Newsstand" feature and The Word Among Us app can be access directly from the home screen. 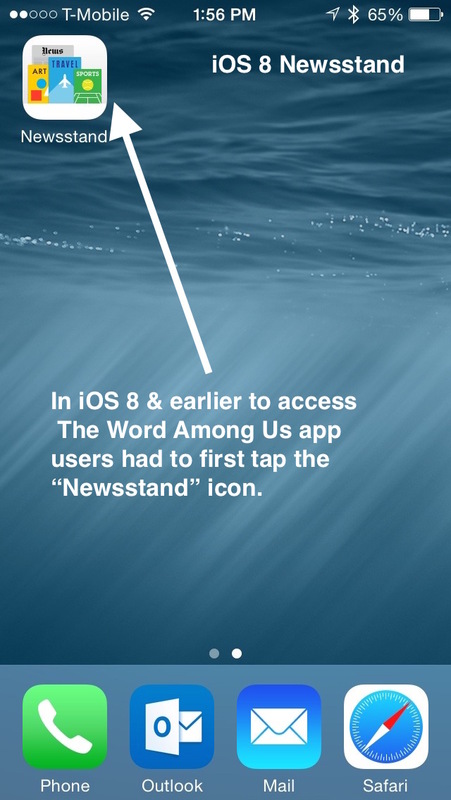 New iOS 9 folder & moveable App Icon.